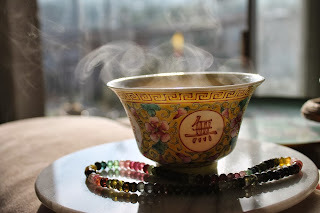 I was drinking a cup of 2011 You Hua Xiang - Pomolo Flower Fragrance this afternoon. I just felt like taking a picture of the moment in the sun, a lazy afternoon and a cup in hand, life is peaceful, a slight bliss like a sunbeam shining through my heart. Being alive and healthy is what should I say, a good thing to have...... it can be simple as is. 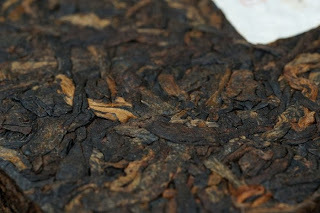 Shu pu is quite a controversial topic in the world of pu erh. I personally think like any category of tea, there are great, good and there are sub quality products. 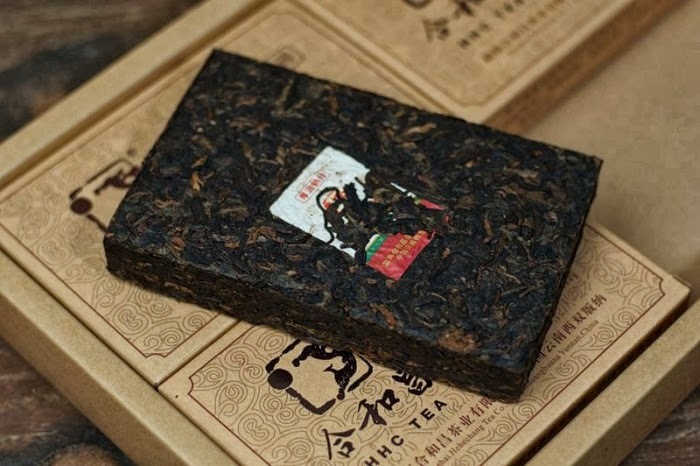 This is one of the most balanced cooked/shu pu of the year of 2013, according to a few well known tea collectors. Highest praise for a shu pu I have heard in a long time. Soft, buttery, rich and vibrant, a trace of sweet lotus flower aroma, similar to Jin Zhen Bai Lian, and it can last many many brews. 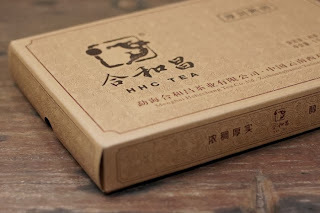 Hou Run means thick and nourishing, best described the tea. My friend called it meaty. On top of the quality, price is right! We locked down only 4 cases at this price, will be expired by end of Nov, get it while you can. Price may go up double next year. Free economy shipping to anywhere in the world from China for case orders, ships right away. For under a case orders, we will arrange for shipments after I come back from China in Feb, shipping charge may apply at our normal fixed shipping rates. I have to write this down so I can digest it better. The same water can be good for one tea and not great with the other even though they are from the same region but from a different year. This is mind boggling to me. From a recent tea frenzy made with Frasier mountain spring water, I was amazed how great a tea become with this water, mostly 2012 crops, but disappointed by the result when using the same water with dan cong teas from another year say 2011. While using filtered water boiled in bamboo charcoal, the result is the opposite, 2011 crop taste better than 2012. This baffles my brain, not knowing why. Perhaps, the weather, rain fall and over all atmosphere condition had conditioned the growth of tea plants, hence the essence of the same tree differs year from year. And because of this, the contents in natural spring water acts like a catalyst when combined with tea. 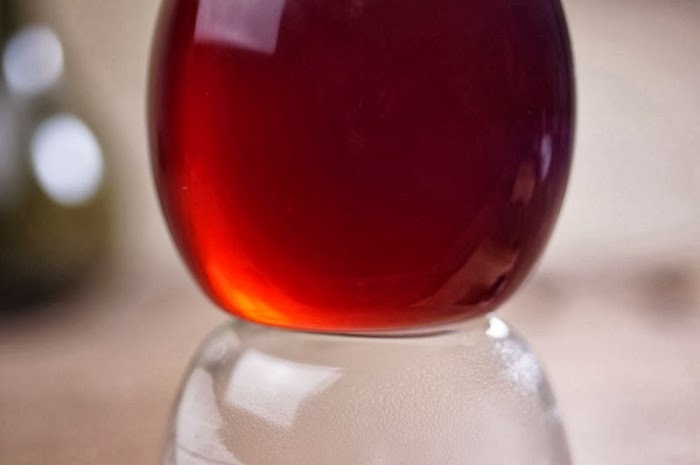 We know soil content is a notable element which is part of the essence of tea, it is understandable local spring water enhances local teas, this matter should be consistent too, because environmental change occurs simultaneously to both spring water and tea plants at the same time in the same region. However, when combining water and tea from different region, you have an open box of Pandora! Tying regions together is one way to go, but must add to the variable is the tea tree contents changes year to year, rematching the right water is now a new task. Another question is spring water should be difference from year to year as well, same water from same source brewing tea of different years of the same region, should that also have compatibility issue? 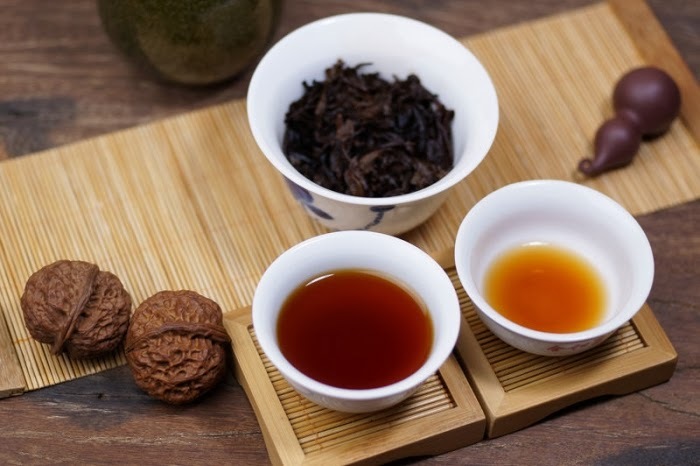 ie, water from phoenix mountain of 2012 brews Zhi Lan Xiang of 09 may have huge difference compare to water from phoenix mountain in 2012 brews the exact same tea and same year. That is ignoring the 3 years of aging. 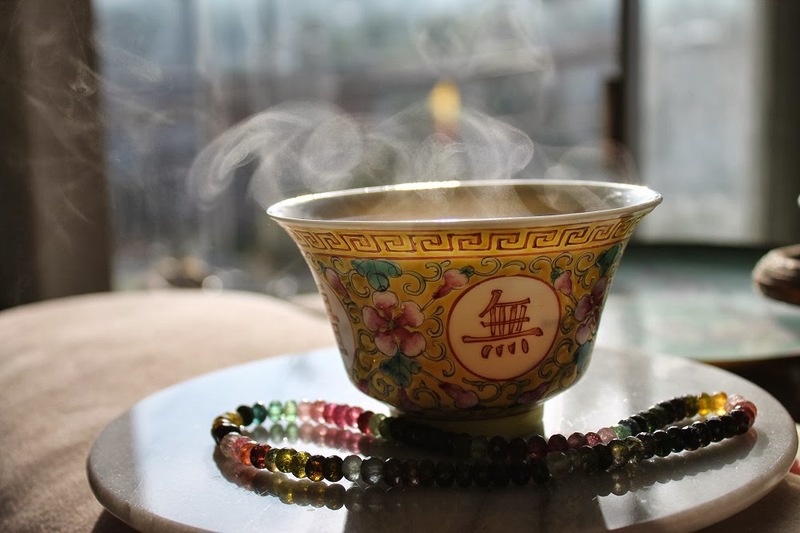 Gong Fu tea takes time and concentration, a good mood and good company also desired if possible. If you think gong fu style is the only way to make a good cup of dan cong oolong, here is an easy way out, the result is also very tasty. Some times I think it is even better this way. Take 2 to 2.5 grams of dan cong tea leaves, for commercial grades you can use up to 3 grams. Any more than that might be too strong. Use a large and THIN gaiwan, 200 ml would be ideal. A big thick coffee mug does not bring out the same result. Fill up the gaiwan with boiling water with the water landing on the side of the gaiwan not hitting the leaves directly. Do not cover. 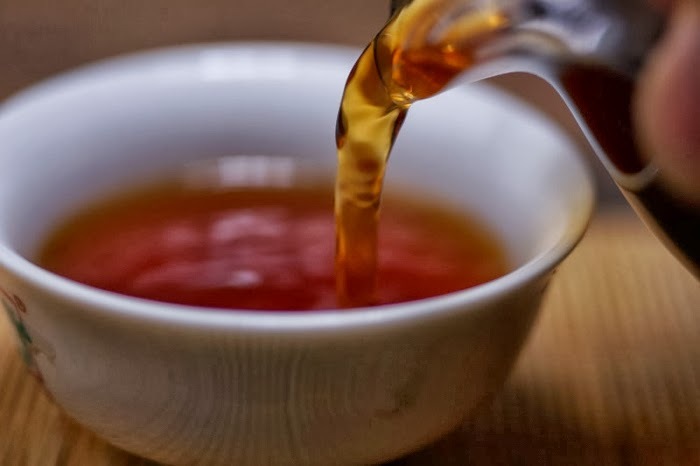 Good tea leaves are packed with substance hence heavy in weight, it sinks to the bottom of the cup quickly, the quicker it sinks the better the quality of the leaves, it must have a rich texture! Do not disturb the tea while steeping, drink as you go, each level of tea has its own complexity, as the taste intensify, your sense of taste awakens. What can be easier than making a cup of tea by just adding hot water! I actually like drinking old bush dan cong teas this way more than gong fu nowadays. It allows the personality of tea to reveal naturally under any parameter. 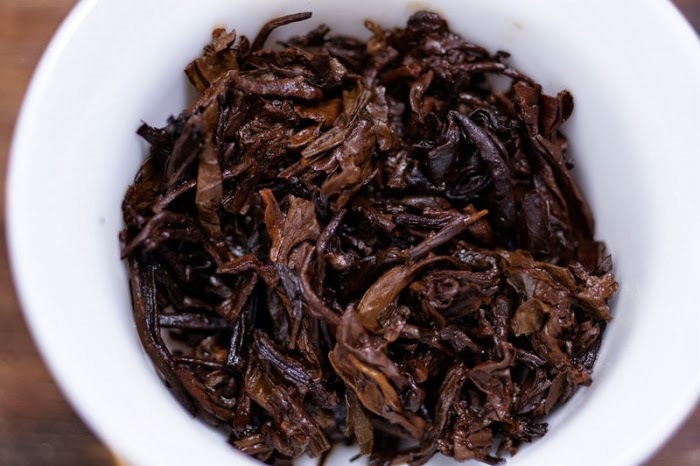 This method also works very well for WuYi rock teas and quality green teas, not recommended for teas that are high in astringency and bitterness.